Preparation is important in any area of ministry as it enables usto be more effective as we seek to be used by God to reach or minister to others. The wisdom writer in Ecclesiastes 10:10 declared, “If the ax is dull, and one does not sharpen the edge, then he must use more strength, but wisdom brings success.” Preparing the edge by sharpening the blade will enable the tool to be more effective, just as training helps believers to serve more effectively in response to the survivors of disasters. 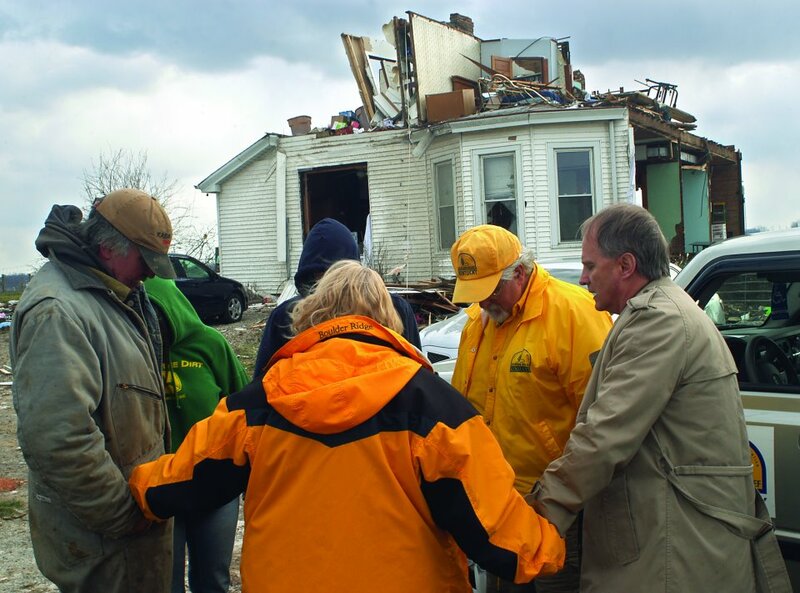 Through your gifts to the Cooperative Program, the Kentucky Baptist Convention is able to provide training in disaster relief that prepares Kentucky Baptists to be ready to serve in positive and effective ways during times of disaster. Training prepares us in our understanding of disasters and the needs that arise in times of disaster. Training enables us to respond in appropriate and effective ways in times of disaster. Training prepares us to understand our role as part of a disaster team. Training enables us to sharpen our abilities to be most effective as we serve, in order to be an asset not a hindrance in the response. Training helps us to understand hazards and safety concerns in disaster areas. Training prepares us to understand in a deeper way some of the trauma of disaster victims that we might be able to offer appropriate compassion. Training prepares the heart for ministry by increasing awareness of the need and different opportunities to minister. Training prepares the hands to be ready to serve effectively. Training prepares the head by giving knowledge to increase effectiveness. But the greatest reason to train is that God deserves our very best in all that we do and to achieve the best requires discipline, effort, and knowledge. Trainings are an opportunity to grow as Believers so that when God calls we are ready. Disasters will come. So let me encourage, be prepared to serve by being trained. Victims deserve that. Other disaster workers deserve that. But most of all, our God deserves that!